Are you seeking additional capital or loan products for your business? You may need to know your business credit score before applying since it will more than likely be evaluated by potential creditors or lenders. 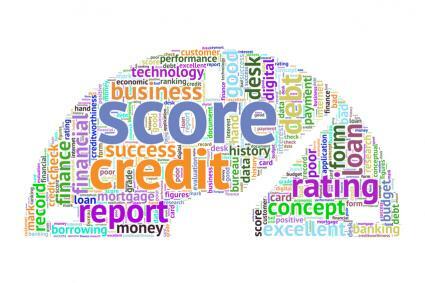 Business credit scores are used to gauge the creditworthiness of your company. They typically range from 0 to 100. Select scoring models also use scores that are in the low thousands. The formula used to determine where your company stands is not consistent across the board. Instead, it depends on the source or credit bureau from which you are accessing the score. Unlike personal FICO scores, business credit reports and scores can be accessed by the general public for a fee that varies by provider. There are three options to retrieve your business credit score. U.S. Commercial Credit Score (Version 8)- determines the probability of a company becoming delinquent on its financial obligations within the next 12 months. U.S. Financial Stress Score (Version 7.1)- reveals the probability of a company encountering financial issues in the next 12 months. Equifax Business Failure Score™- determines the chances a business will fail as a result of bankruptcy in the next 12 months. Business owner and officer information may also be considered in the calculation. *(The higher your score, the lower risk you pose to potential creditors). If you find your business credit score is much lower than you anticipated, you may want to start rebuilding it by responsibly managing your existing business debt and possibly opening new business accounts and lines of credit. Also, be sure to stay current on all your personal debts and refrain from overextending yourself. "A good personal credit score can be especially important during the first few years when a business is still establishing itself," CreditKarma adds. Carefully review the contents of your business credit report since errors are bound to happen. In fact, a 2013 Wall Street Journal/Vistage International study revealed 25 percent of business owners identified inaccuracies in their business credit report. If you discover an error in your company's report, reach out to the information providers and credit bureaus promptly to have it rectified.